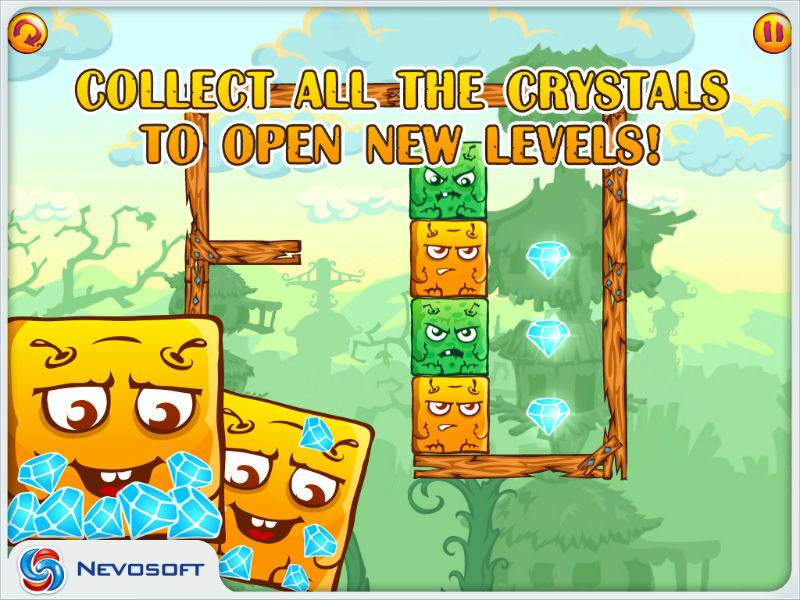 Game Shape Shifters for iPhone and iPad. 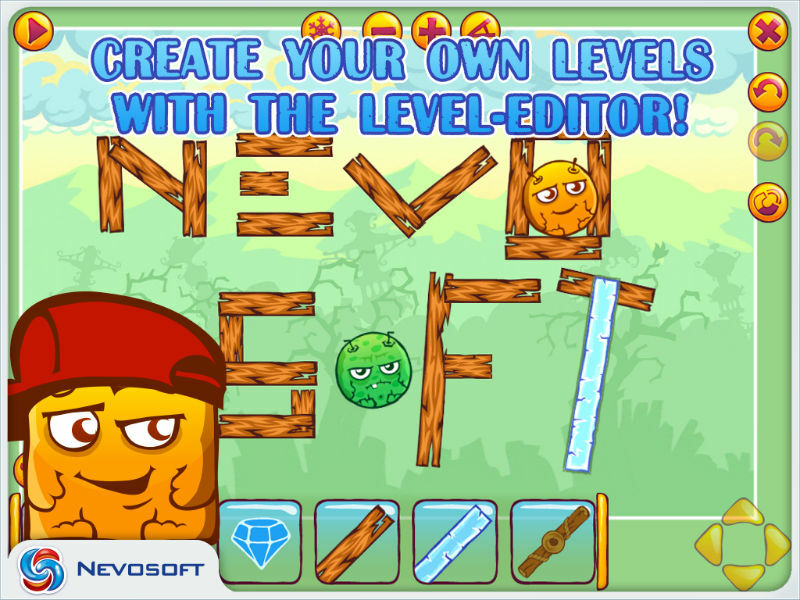 Download game Shape Shifters for iPhone and iPad for free at Nevosoft.Com. Description, walkthough of Shape Shifters for iPhone and iPad, buy game. One day the planet of Shape Shifters was attacked by space pirates, who stole the planet’s vital crystals - one of the most powerful sources of energy in the universe! The aliens thought they were just taking precious gems, however the Shape Shifters’ planet will die without the essential energy of the crystals. The desperate inhabitants of the planet raced after the pirates and now need to defeat them on a number of different planets to collect the crystals they need to save their planet. 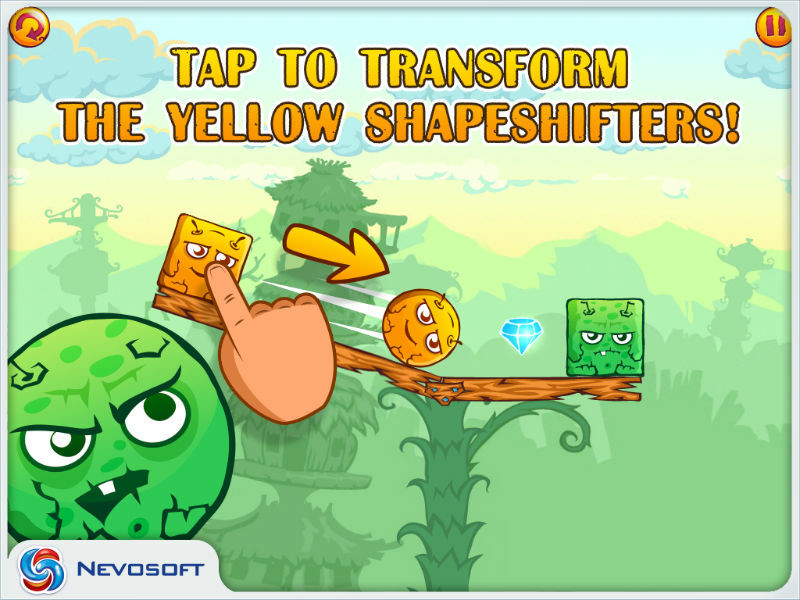 Use the Shape Shifters’ transformative ability defeat the green alien robbers and save life on their planet. Travel to other planets in the galaxy including Zozo, Pikuz, Tanka, Borbo. Each planet contains 18 exciting levels. Each new planet offers more complicated tasks and new elements of gameplay. 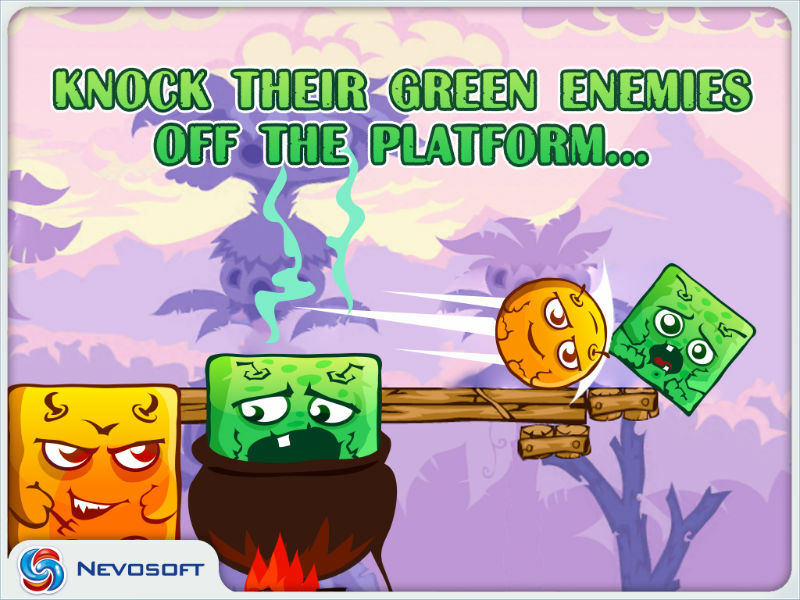 Use logic and strategy to defeat the pirates and save their planet. 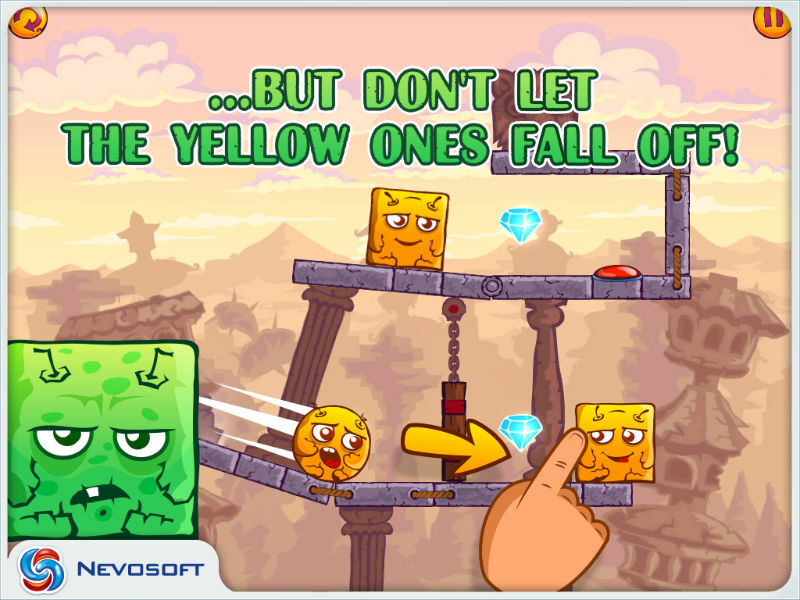 Go from planet to planet in order to defeat the space pirates and save the Shape Shifters from extinction!